Home Businessuite News24 JAMPRO Launches Global Services Sector Programme To Position Jamaica As A Digital Hub For Business As Well As Generate More Employment In Information Technology (IT)-Enabled Services. JAMPRO Launches Global Services Sector Programme To Position Jamaica As A Digital Hub For Business As Well As Generate More Employment In Information Technology (IT)-Enabled Services. 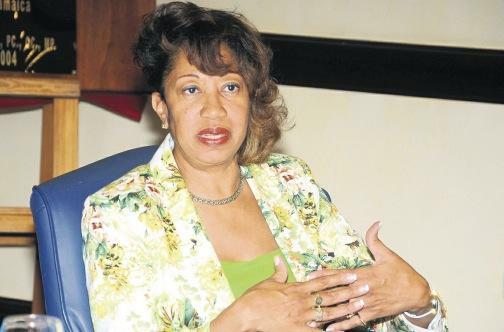 President of Jamaica Promotions Corporation (JAMPRO), Diane Edwards, says the recently launched Global Services Sector (GSS) programme will help position Jamaica as a digital hub for business as well as generate more employment in information technology (IT)-enabled services. Being executed by JAMPRO, the initiative will prepare workers for high-end jobs in industries such as business process outsourcing (BPO), information technology outsourcing (ITO) and knowledge process outsourcing (KPO), thereby strengthening Jamaica’s institutional capacity to attract new GSS investments. It is being initiated by the Government with Inter-American Development Bank (IDB) loan funding support of US$15 million. Mrs. Edwards said that GSS is focused on preparing young people and upskilling them for the future of work and the new jobs and applications, whose format not even know yet and what they are doing under the GSS project is to ensure high quality and relevance of the workforce. JAMPRO is going to be mapping training providers and enhancing the quality standard of training providers, she added. Mrs. Edwards, speaking at the University Council of Jamaica (UCJ) Symposium on Quality Assurance in Higher Education, at the Iberostar Hotel in Montego Bay recently, noted that the GSS programme is in keeping with the Government’s focus on developing the country’s human capital in driving economic growth. The biggest selling point for Jamaica is really its human capital; that is what has driven development thus far as a nation and that is what we continue to focus on selling, she said. She noted that with the rapid pace of technological changes in the job market, a constant state of retooling and upskilling is necessary. She underscored the point that if you look at the impact of technological changes that we are going through now… the whole range of artificial intelligence… really requires a renewed focus and how we invest in and how we leverage human capital to create economic prosperity. The JAMPRO head also emphasised the importance of promoting critical thinking in the education sector. She cited a recent survey from employment recruiting website Glassdoor, which indicated that this is the skill most demanded by large technology companies worldwide. Glassdoor listed that 15 of the biggest companies in the world are no longer looking for degrees. If one looks at companies like Apple – IBM, Google and Amazon, many of them founded by high school students and university dropouts – they are not so interested in educational qualifications… they are seeking non-traditional thinkers; they are looking for critical thinking skills, Mrs. Edwards said. previous US$25M “Boosting Innovation, Growth And Entrepreneurship Ecosystem” Project Being Implemented By Development Bank Of Jamaica.